Stamp collecting, flower arranging, gardening, playing a musical instrument, woodworking, gourmet cooking, bead working, antiquing, knitting, reading, painting, jewelry making, singing, writing, athletics, magic, playing chess or bridge, learning a new language. If I had my way, I’d engage in one hobby after another. Currently, I’m hand quilting a massive bedspread for my bed. 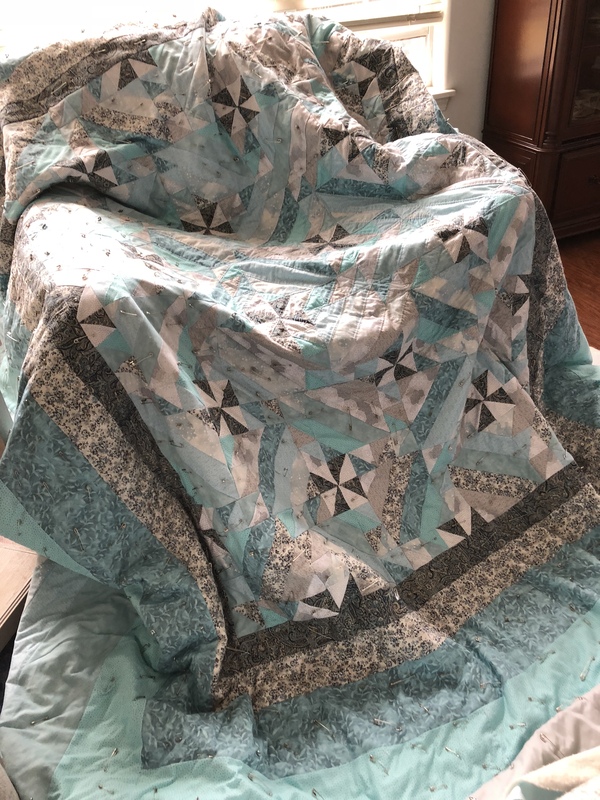 It’s the first quilt I’ve worked on in several years. Although the sewing leaves my hands in tremendous pain due to fibromyalgia and arthritis, I’m loving every minute of it. The word, hobby, relates to an activity or interest pursued for pleasure or relaxation. Strangely, the word evolved from hobby-horse. The reasoning behind the shift is that the activity is like a favorite pastime, such as riding a hobby-horse, that doesn’t go anywhere. In fact, this is not so at all. Studies show numerous benefits from participating in a hobby. Our hobbies often are what some people do professionally. We aren’t at that level or don’t have the time to pursue it to that extent, but the activity brings us pleasure and distraction from the tough stuff in our lives. Hobbies are our “time out” from obligations and promote a sense of calm and purpose. The activities help us structure our time. They offer an incentive to get our work done. We’re more efficient overall. And engaging in hobbies is more constructive than staring blankly at the TV. In addition, hobbies create opportunities to make new social connections with like-minded individuals. And those social connections are an important key to happiness and longevity. Here are a few more benefits of delving into hobbies. If you are seeking a new hobby, look at local junior college and park district listings of classes and inquire what your friends enjoy. If you do have a hobby, please tell us! We’d love to hear from you. 4 Responses to “Sew,” What’s Your Hobby? Not being at work is my greatest hobby.